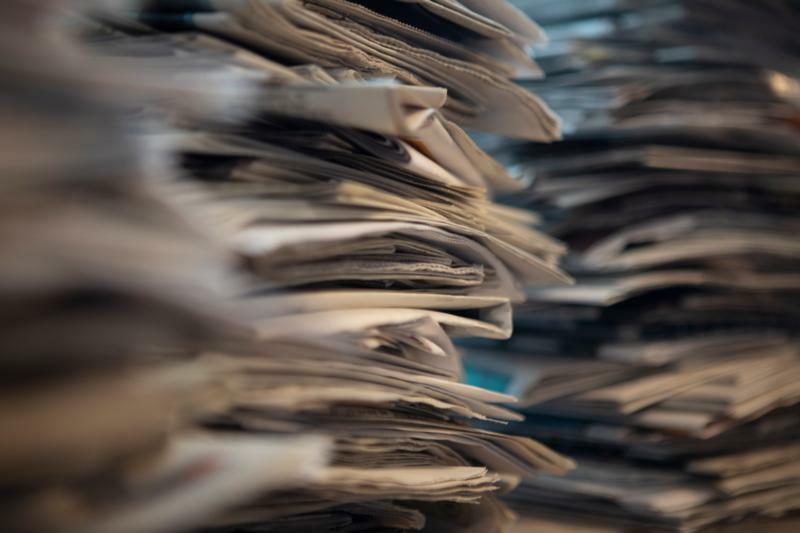 WASHINGTON (CNS) — The International Trade Commission unanimously reversed a series of tariffs Aug. 29 that the U.S. government had slapped on Canadian-produced newsprint. Publishers based in the United States were joyous at hearing the news. “We are so very happy to see this,” said Carmela Weismantle, operations manager and director of advertising for Pittsburgh Catholic Publishing Associates, which published the Pittsburgh Catholic diocesan newspaper. “The (federal) Dept. of Commerce recently upheld the tariffs and, though they revised them to slightly lower levels — but still as high as 20 percent — the tariffs would have been unsustainable for newspapers, other printers and publishers and printers,” said an Aug. 29 statement from David Chavern, president and CEO of the News Media Alliance, a trade association of print and digital news organizations. “Fortunately, our voice was heard at the ITC hearing last month, and they made the right call today in reversing these harmful tariffs,” Chavern added. “From the start, we knew this tax on newsprint would immediately harm commercial printing companies, book printers, service companies, equipment suppliers and ultimately, consumers,” said an Aug. 29 statement from Michael Makin, president and CEO of Printing Industries of America. The tariff was imposed early this year after a complaint by a firm in Washington state. The federal government agreed with the complaint, and tariffs steadily rose throughout this year until the Commerce Department adjustment earlier this summer. Next to labor, most newspapers’ biggest budget item is newsprint. Some publishers responded to the tariff by cutting the number of pages or trimming the size of the pages. One small daily newspaper in Iowa folded rather than risk facing a slowly rising tide of newsprint costs.